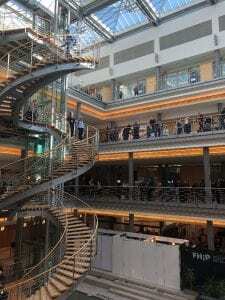 This post is written by Lauren Cummings, who recently visited the Bibliothekartag in Leipzig, Germany. Lauren attended the conference with support from the John Campbell Trust. A full list of speakers can be found here. In March I had the opportunity to visit the Bibliothekartag/Bibliothekskongress in Leipzig, Germany, thanks to a bursary from the John Campbell Trust. 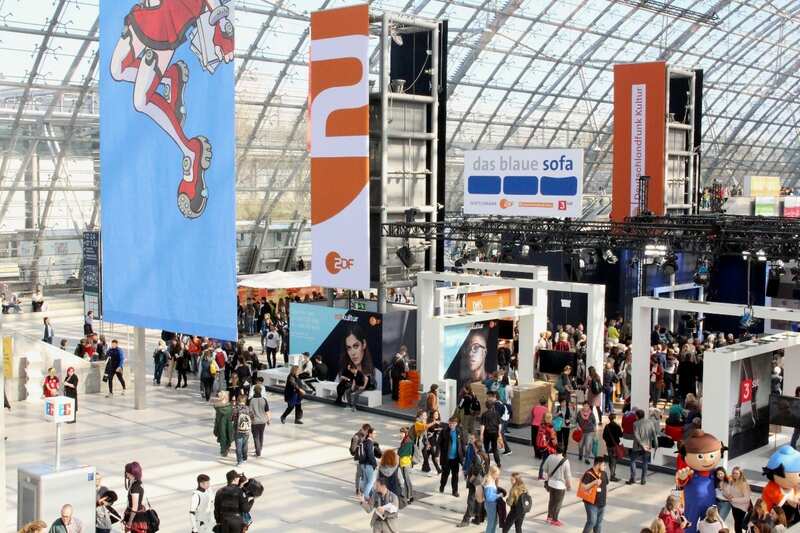 This is the biggest German-speaking conference for librarians and library workers and takes place in Leipzig every three years just before the Leipzig Book Fair, moving to other German cities in the intervening years. 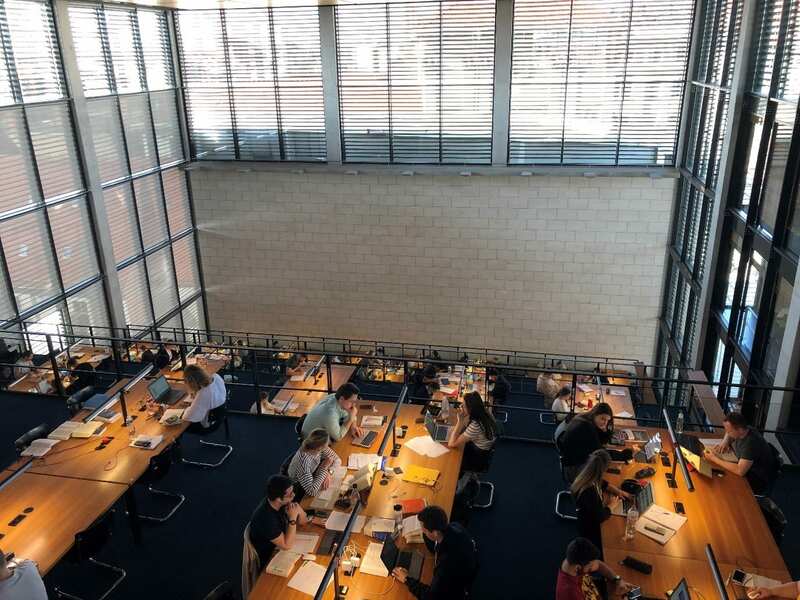 This year it took place from the 18th to 21st March, with the theme ‘Libraries for Change’: how are libraries themselves changing, and how can they help change society? Leipzig is just over an hour south of Berlin, in the eastern German state of Saxony. 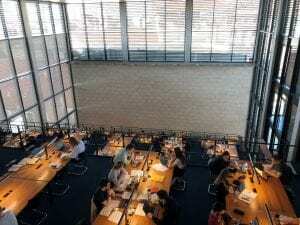 It’s home to a branch of the German National Library – the other one is in Frankfurt, thanks to the division of Germany after the Second World War – and was once a hub for German publishing. I arrived by train on Sunday and was welcomed by my lovely Airbnb host Vanessa, who helpfully pointed me in the direction of the nearest corner shop to stock up on breakfast and German chocolate for the week. 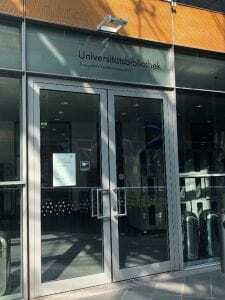 On Monday I jumped on the train to the Leipzig Congress Centre full of nerves about everything from my choice of clothes to German adjective endings, but I found I barely had time to worry once I’d arrived – from there it was all systems go until the closing session on Thursday afternoon! The presentations on offer were incredibly wide ranging. 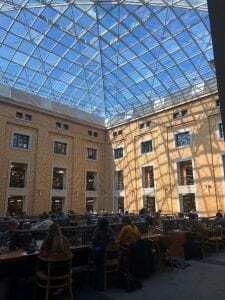 I’ve only had jobs in academic/law libraries and plan to stay in this area, but I wanted to use the conference as an opportunity to get new ideas and perspectives not just from other countries, but from other library sectors too. 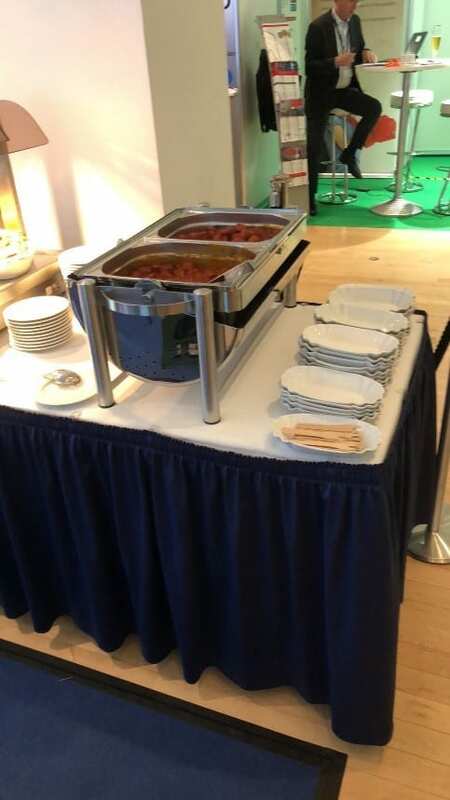 Lots of librarians… and Currywurst! There were almost too many sessions to choose from, and navigating clashes on the conference app felt like being at a music festival… almost. 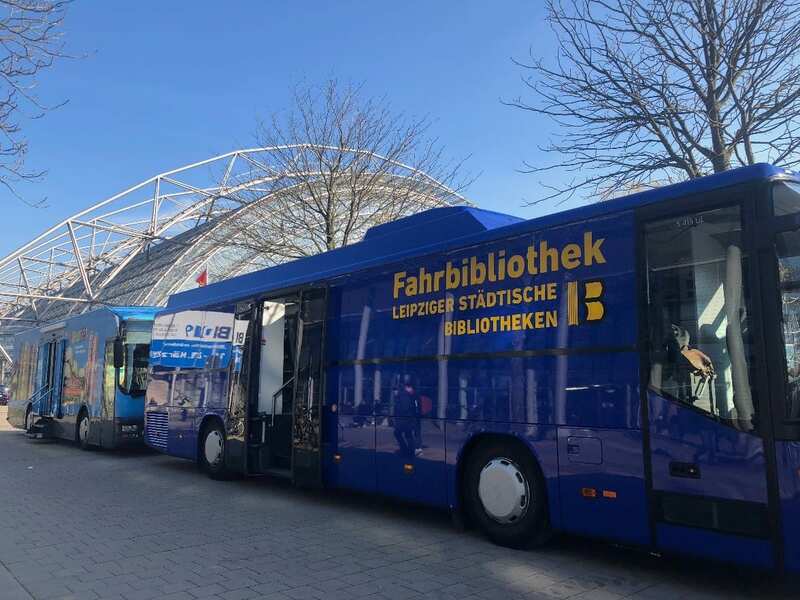 I went to presentations about information literacy in the workplace, text recognition software for non-Latin scripts, and Austrian librarians on a mobile library adventure through the Scottish Highlands. Several presentations and discussions explored the relationship between libraries, democracies and the media in an age of populism and fake news, and asked how we can work together with journalists to promote facts. 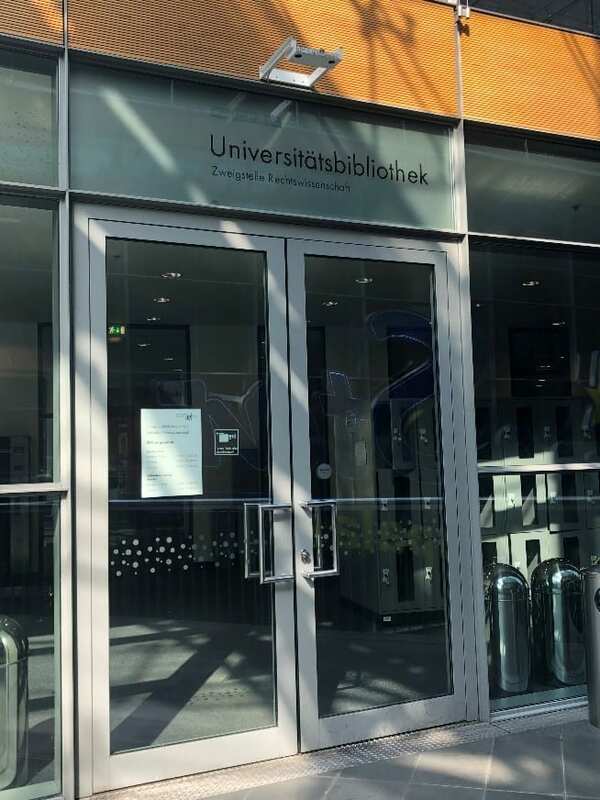 I also attended a talk about the current state of ‘Projekt DEAL’, a consortium of libraries and research institutes in Germany that are working to negotiate nationwide purchasing and Open Access deals with the biggest scientific publishers – very relevant to the Libraries and Publishing module at City! Slides from the conference presentations are online here. 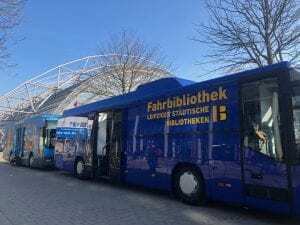 An International Librarians’ Orientation gave us bewildered non-German delegates a chance to meet each other, and hear about some of the opportunities for international exchange offered by Bibliothek & Information International and IFLA. I was able to meet librarians from the Netherlands, the USA and New Zealand and talk about our careers and expectations for the conference. I’m now considering joining the CILIP International Library & Information Group, to find out about and help to create opportunities for international collaboration for libraries and library workers in the UK. It seems to me that the UK is becoming more insular, and we can’t afford to be when there is so much we could learn from our colleagues abroad. On Thursday, with the closing session done (and the free food at the exhibitors’ stalls long gone), I decided to take the plunge and spend some of the afternoon at the Leipzig Book Fair next door. We’d been treated to a sneak peek at the preparations during the conference, but visiting on Thursday really was seeing the fair in its full glory: the huge glass entrance hall was buzzing with readers, publishers and the press. 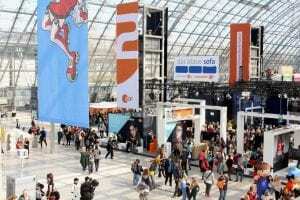 The fair is aimed at the public as much as the publishing industry, and every genre of book was represented in the five massive exhibition halls. 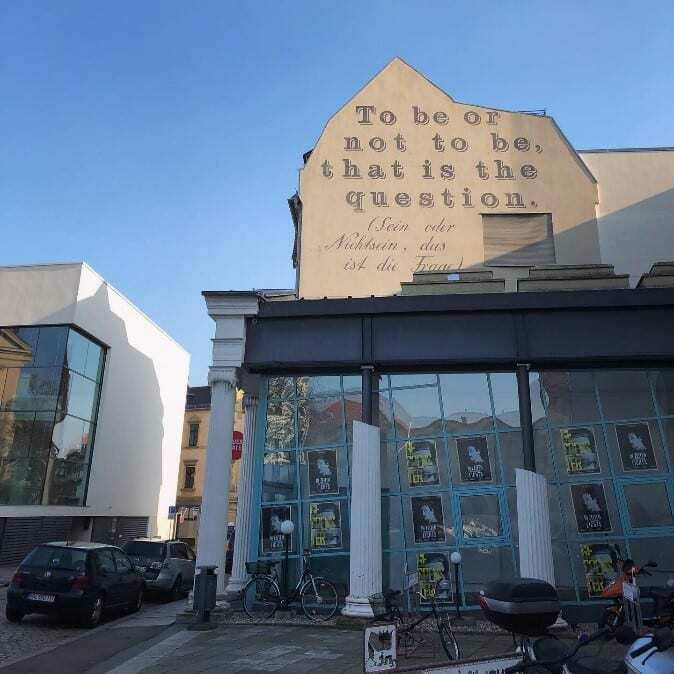 From there, I hopped on the tram to the German Museum of Books and Writing for a tour of its exhibits on censorship. In the UK we think of libraries as open places, where people have a large amount of freedom to access information. 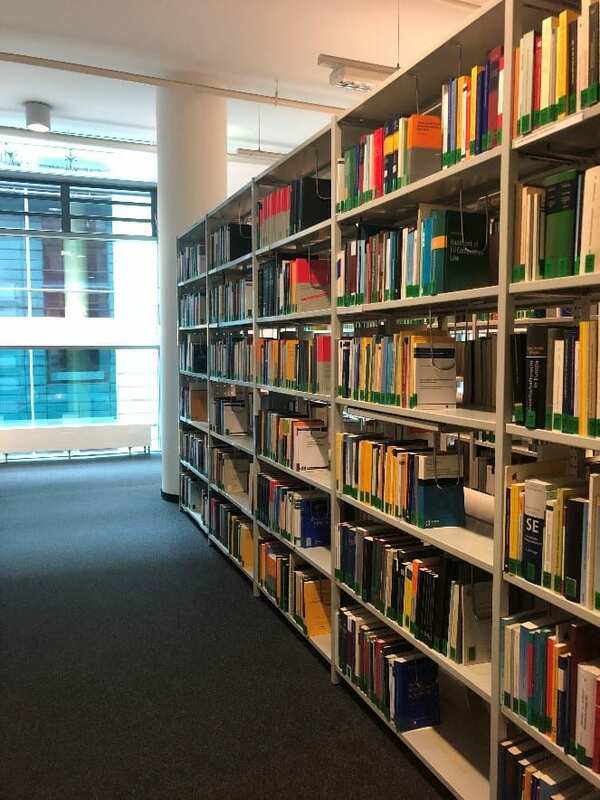 As I learned, though, they can also act as instruments of the state, as was the case in Nazi Germany and the GDR – we saw a list of books that had been classified as “non-democratic literature” in the early years of the GDR and placed in a closed area of the National Library. 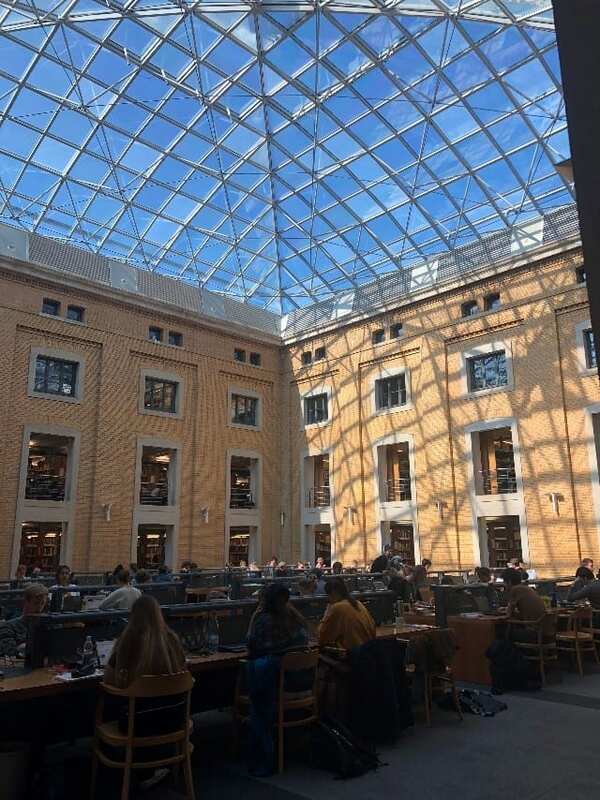 I spent the warm, sunny Friday visiting university libraries in Leipzig and nearby Halle. 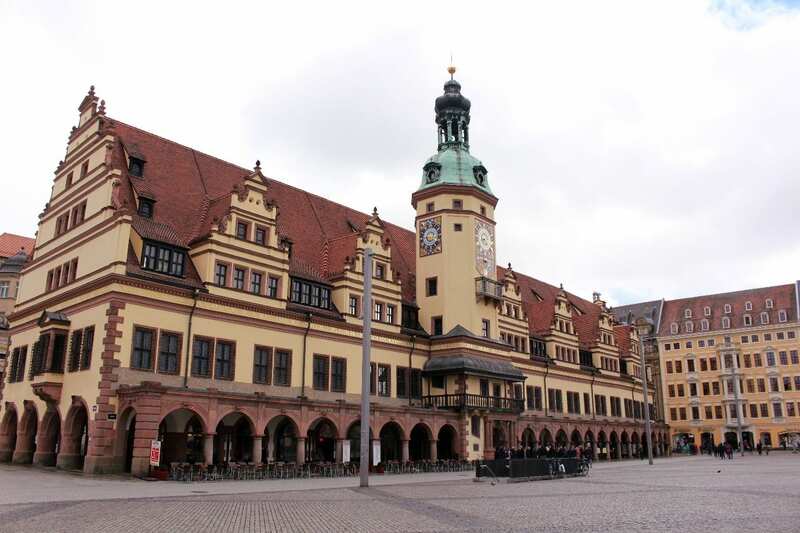 I was especially excited to return to Halle, where I spent an exchange year in 2013-14! 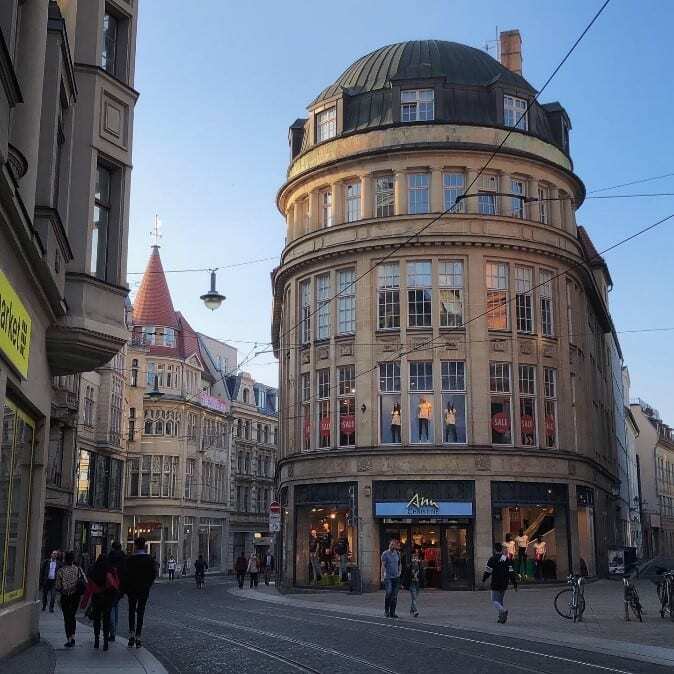 First I popped into the law faculty library of the University of Leipzig, hidden away in a glass shopping and office complex in the city centre. Even at 10 on a Friday morning the library was packed with students, and I wasn’t surprised to read later that a new building is planned for the ever-growing faculty. 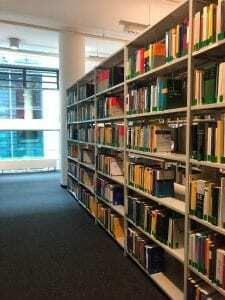 Next, I visited the Bibliotheca Albertina, the University’s main library for Arts and Humanities. I hadn’t planned to visit, but a photo of the building’s gorgeous facade in a conference presentation had left me hungry for more, and the reading rooms inside didn’t disappoint! 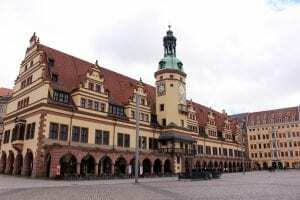 I briefly entertained thoughts of moving to Leipzig to do a history Masters just to study in them. At 99 cents, the coffee in the library cafe was a bargain, too. 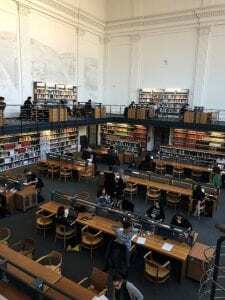 I couldn’t spend all day taking in the Albertina, though, because in the afternoon I had a tour of the law library at the Martin Luther University Halle-Wittenberg. Annegret Staudte, one of the very friendly librarians, showed me the library then chatted to me over a coffee about the library, the faculty, and the history of the city and her life there. Inspired but exhausted from a week of speaking and thinking in a foreign language (international students at City, I salute you), I popped into an old favourite cafe to reflect on the week over waffles before wandering back to the station. When I applied for the bursary, I didn’t think I had much of a chance of getting it. But I took the chance, and I did get it! You really don’t know until you try. This particular bursary was expenses-based so I had to pay everything up front and was very privileged to be able to do that, but there are bursaries and grants out there that pay in advance, for trips and conferences all over the world. While competition for some bursaries can be fierce, others might have less applicants than you’d think, because they’ve slipped under the radar or are for more niche subject areas. I’d recommend keeping an eye out in places like Twitter and the CityLIS message boards for bursaries and grants that fit your interests. The New Library Professionals Blog has great tips for finding the right bursary and how to make your application stand out. Attending a conference is a fascinating experience, and I left Leipzig feeling really inspired by the projects and ideas I heard about and the librarians I met. 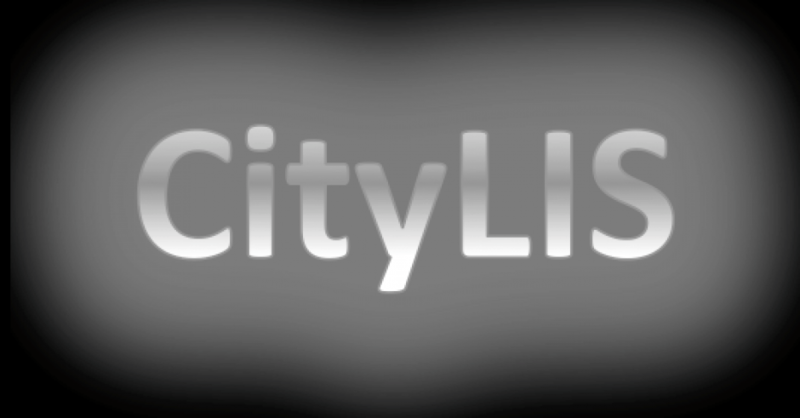 This entry was posted in Student Perspectives and tagged #, CityLIS, Events, Higher Education, Student Perspectives. Bookmark the permalink.